3308 PUDDLE ROAD ART DVD (Oil) 109 minutes. PUDDLE ROAD is an awesome beginner dvd for learning how to oil paint. In the beginning of the video Jerry explains everything from palette setup to brushes and paints. 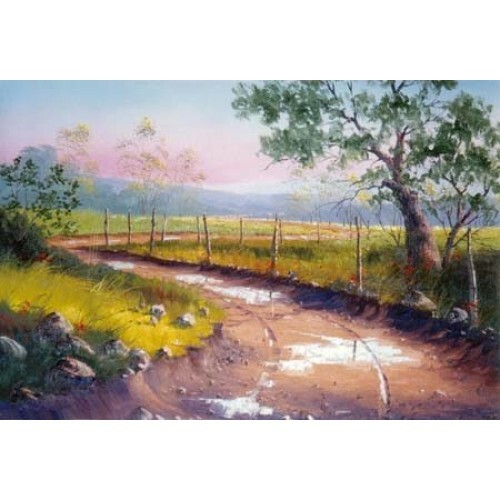 Jerry then guides you step by step through the painting of this beautiful landscape.